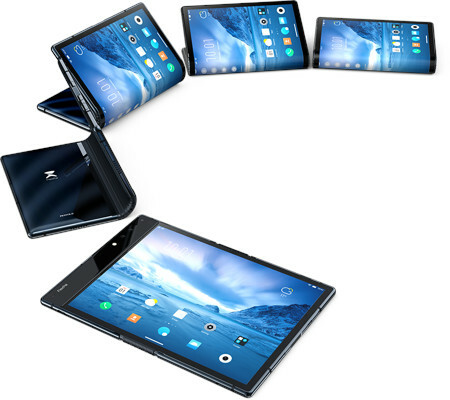 The FlexPai foldable smartphone is based on Royole’s Flexible+ platform, where for future usage, it can be easily integrated into a wide range of products and applications across numerous industries. Elegantly designed with multiple form factors in mind, you can choose to have the FlexPai support split-screen mode and multi-tasking when unfolded. Not only that, it also supports drag-and-drop across applications, letting the user share features in the similar manner as that of a computer, where it will adjust screen sizes automatically while delivering an enjoyable video viewing and gaming experience. Alternatively when it is folded, the FlexPai will be able to support dual screens with separate, simultaneous operations. Both the interfaces on the primary and secondary screens are able to mutually interact with each other, and if you want to, make use of them independently without having them interfere with one another. Apart from that, users of the FlexPai will be on the receiving end of notifications on the edge screen side bar that can then be useful in managing calls, messages, and other kinds of notices that might disturb the primary and secondary screen usage. Most people would wonder just how durable the FlexPai is. For starters, it has passed bending, twisting, and tension tests more than 200,000 times, and you can also feel free to fold the FlexPai at different angles without missing a beat. The Water OS will be able to adapt different viewing modes for different folding angles and user scenarios automatically, ranging from snapping a candid moment to productivity software and gaming sessions. It is accompanied by a 20MP camera, a microUSB slot, a fingerprint sensor, USB-C charging capability and stereo speakers. There is still no word on pricing, but it is not going to come cheap when commercially available for sure.